Chimney blockages can be caused by many different ways. Chimney blockages can be difficult to unblock depending on what’s blocking the chimney flue. CCTV inspection or chimney survey will identify what is causing your blockage. 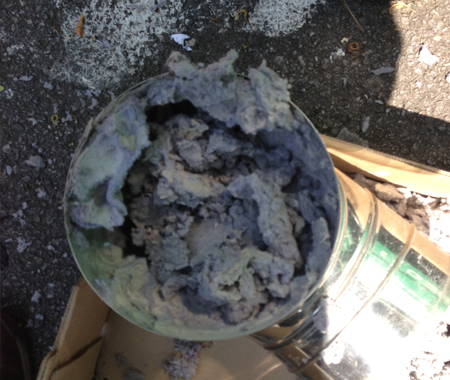 Most chimney blockages are caused by birds nest or a heavy build-up of soot. Also when builders or people doing renovation work can cause loose bricks to collapses inside the chimney flue. Old back boilers flue liner and bits of carpets shoved up in side can cause problems. Bloor Chimney Sweepers use the very best in chimney CCTV equipment to tackle any blockage. So if you’re having problem with your chimney flu that is blocked or is back filling your room with smoke to which can cause death from carbon monoxide , call Bloor Chimney Sweepers how have years of experience.in dealing with blockages. So if your chimney is blocked or need some advice call us today!